There is another little old woman who lives in my town now. She walks all day long...every day. I've seen her in the heat of summer and the freezing cold of winter, hobbling along the streets, across bridges, through parks. Her face is a bit weather-worn from wind and sun, but she always seems happy. I wonder if my children notice her, and if they do, what they think about her. We saw this woman yesterday, so I pulled my car around to where she was. I decided to offer her a Book of Mormon. She walks pretty fast. I jumped out of the car, then had to run to catch up with her. Hopefully, I didn't spook her! When I saw her face up close, it was actually very pleasant, and her smile was beautiful and she was very articulate. I told her than I had seen her walking and thought she might like to read the book that I had. I explained a bit about it and that it teaches about Jesus Christ. She thanked me and took it, then asked me if I wanted it returned when she finished. I said, sure, she could give it back when I saw her again. Then I asked her, "Why do you walk all of the time?" She said, "Oh, I have been walking since before my husband died. Now, I just love to be out in nature." I said, "Yes, you sure must see such beauty, and you must be in rather good health with all of that walking. You inspire me." She brushed that comment off, then thanked me and continued on her way, as did I. All the while, my children watched from the car. I am sure that they'll notice her now. I wonder sometimes if people find The Book of Mormon, or the thought of it, a bit scary, because it is unknown or unfamiliar, but I wonder if they wouldn't find it for what it is--beautiful, enlightening, peaceful, and gratifying--if they just got close enough to it to get to know it a little, as I did this beautiful old woman. I do hope she finds what she is looking for as she walks God's good earth! And I hope she KEEPS the book. You are awesome and fearless. I admire you!!! Oh ya, I love this post!!! I love the imagery of the older woman. I hope I am out and about walking all the time when I am old and widowed. I love that she asked if you wanted it back. Very sweet post and I hope she reads it and you get to speak with her again. Blessings to you for giving those precious Books of Mormons away. That reminds me so much of my Mom. Your children will remember that experience and will be blessed because of it. What a wonderful example. cool analogy...will be interesting to see what she does. Next sunday at church our branch president is going to challenge us to give out book of mormons-it must be in the air...lol! What a beautiful experience. I hope she will keep it! P.S. The example that parents set when their children are small has a big impact on how those children behave later on. 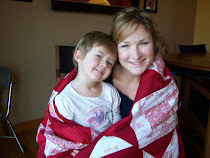 Your kids will likely turn out to be bold missionaries! 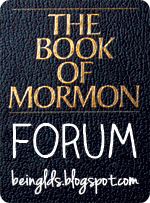 Usually, I'm too chicken to offer a Book of Mormon to English-only speaking people. I generally only offer foreign language copies. But, if I feel inspired to approach an English-only speaking person, I offer them a Bible first. So after they realize we believe the Bible (I wouldn't be offering to give it out if I didn't believe in it, right?) then I can offer them a Book of Mormon without coming up against the common answer "Sorry, I already have a Bible." LDS church Bibles are $8 or $9 at store.lds.org. So I get cheaper English (about $2.50 each) Bibles at www.biblica.com, or www.bibles.com (American Bible Society).